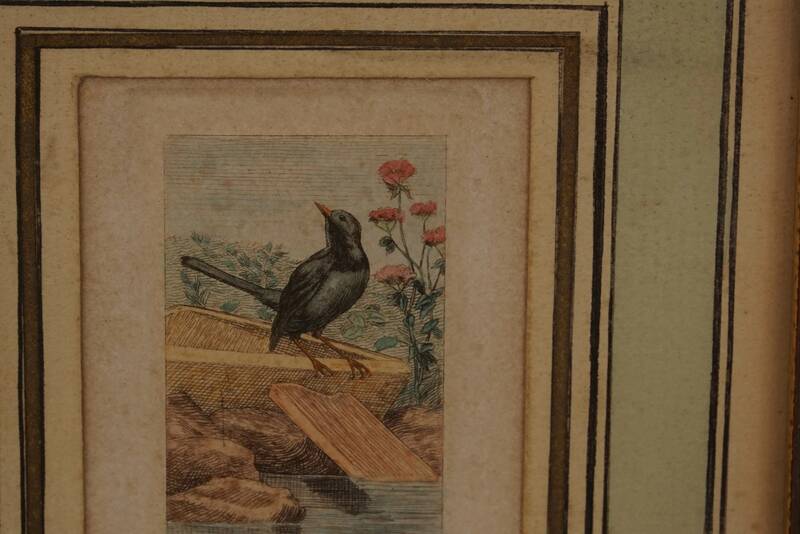 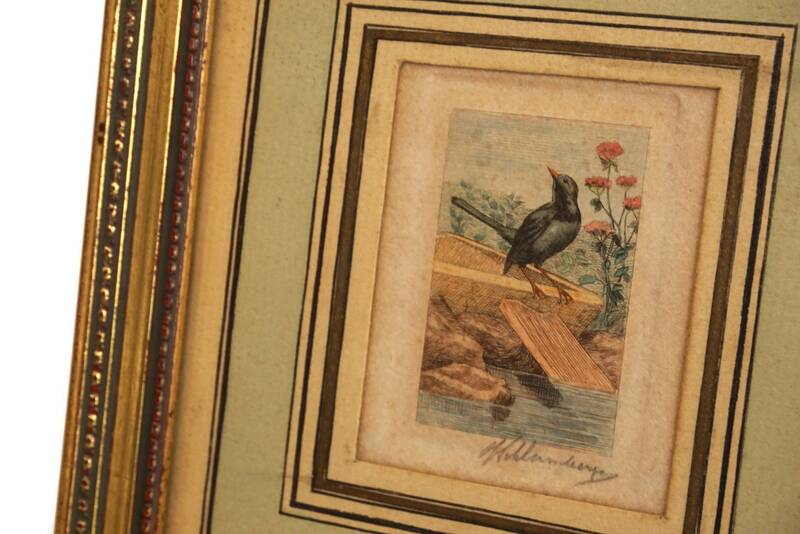 An exquisite antique French bird miniature lithograph dating from the late 1900s. 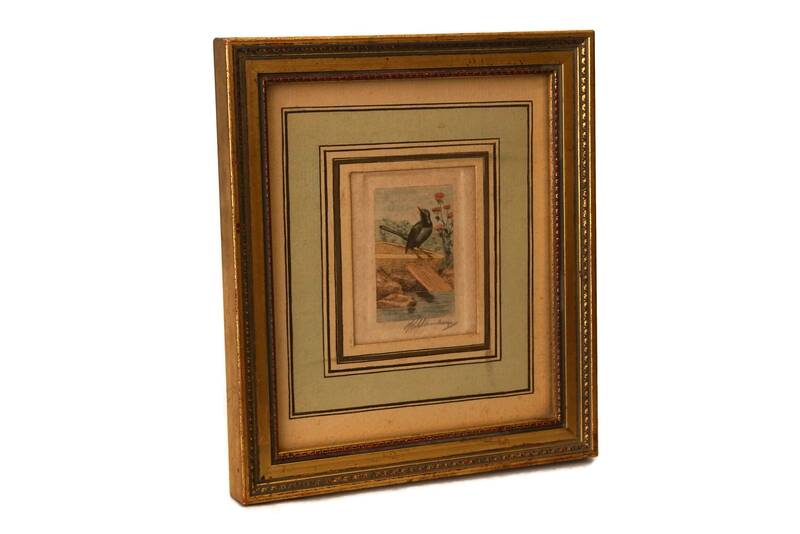 The engraving print has been hand colored in pastel shades and features a beautiful long tailed bird next to a water point with charming details. 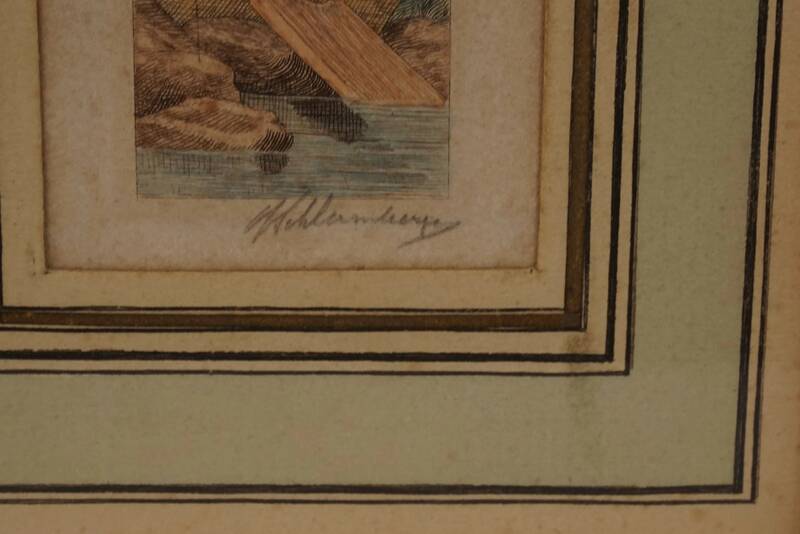 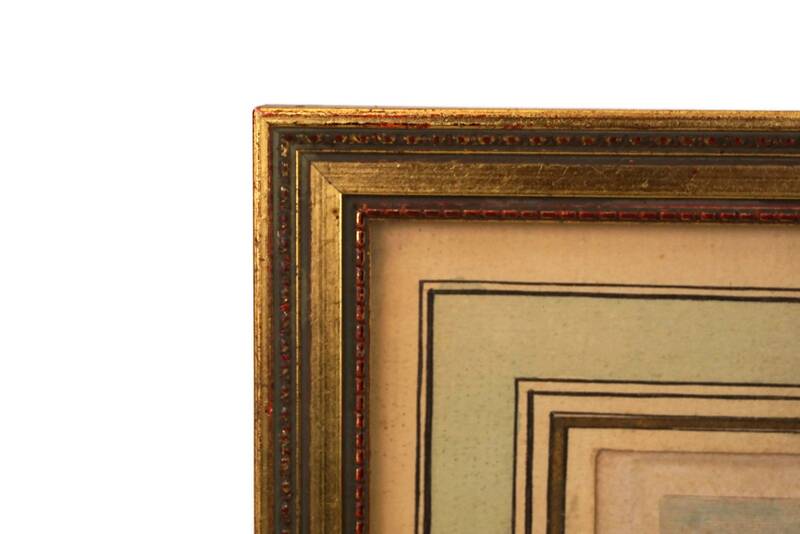 It has been hand signed by the artist Schlumberger (to be identified) on the right bottom corner and framed under glass in an antique gold leaf wooden frame with a hand colored mat. 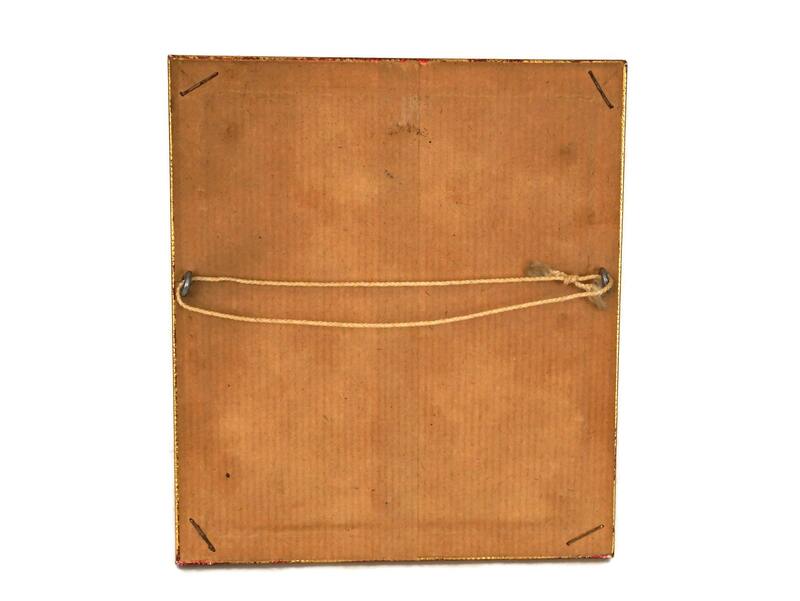 There is a hanging cord at the back. 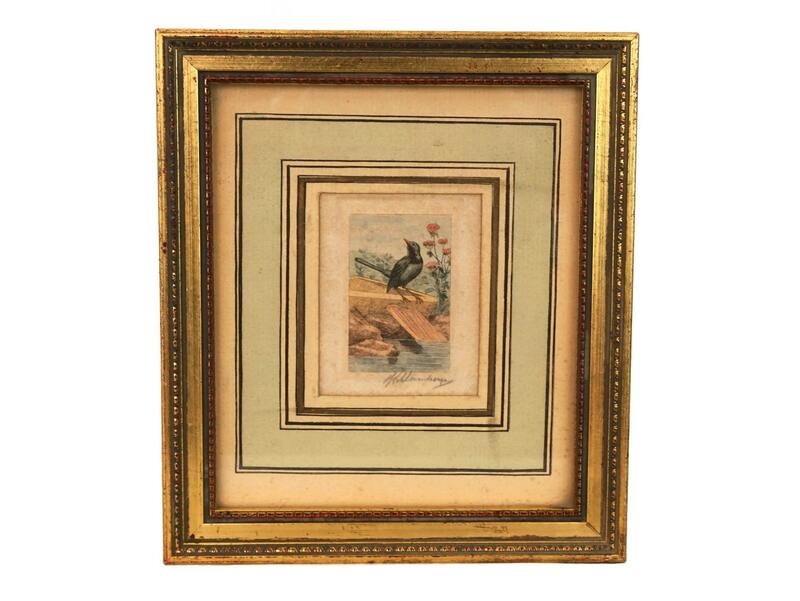 The frame measures 6" Tall x 5.4" Wide (15 cm x 13,5 cm). 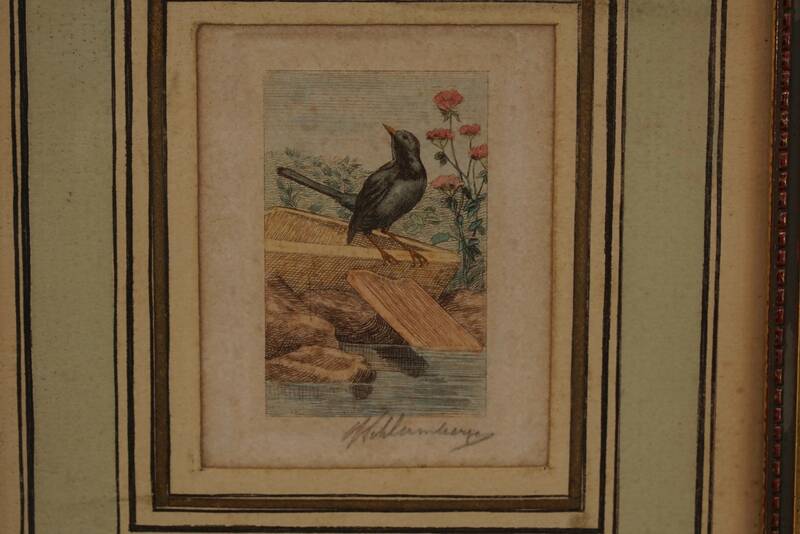 The plate image measures 1 3/4" Tall x 1.2" Wide (4,5 cm x 2,8 cm). 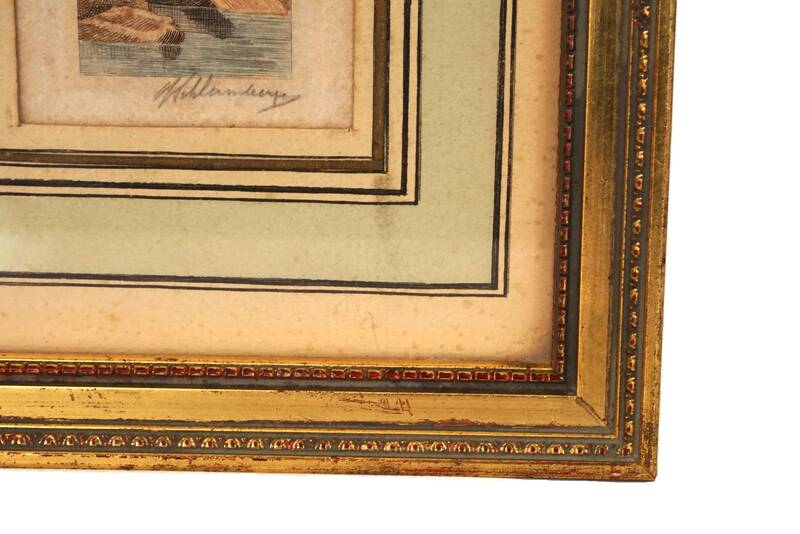 The antique print and frame are in in very good condition with light signs of age and wear. 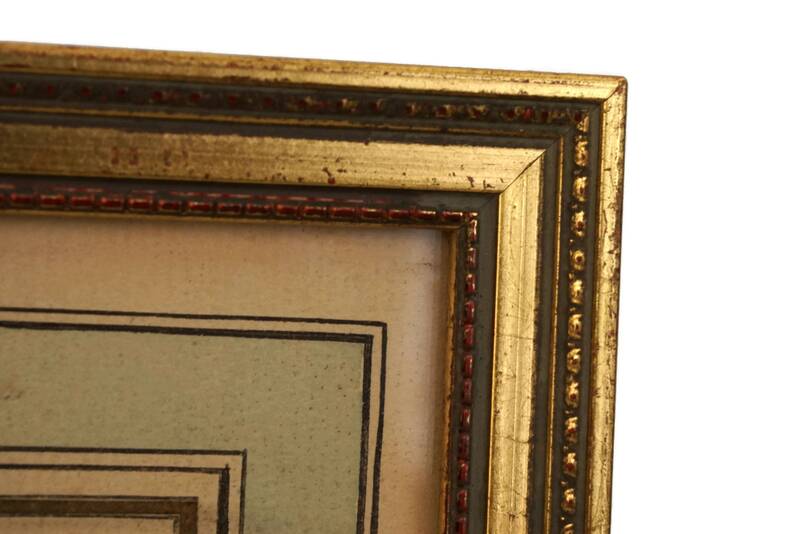 There are light surface marks to the mounting board and to the print.